Mrs. Annie Lois Locklear age 78 of Maxton, North Carolina was born on July 24,1940 to the Late Guy Jones and Annie Clark Jones in Robeson County, North Carolina. She departed this life on January 23, 2019 at Scotland Memorial Hospital in Laurinburg, North Carolina. Along with her parents she was preceded in death by her husband Jerry Locklear, one sister Mary Chavis, three brothers; Eugene Jones, Reginald Jones and Guy Jones Jr.
Mrs. Annie loved reading her bible and gardening. 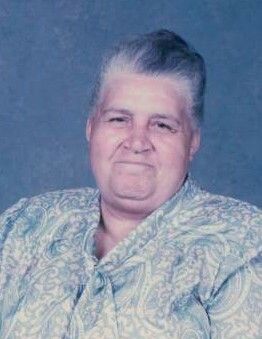 She leaves to cherish her memories, two sons, Brantley Locklear and wife Loretta and Smitty Locklear all of Maxton, North Carolina; three daughters, Annie Rose Locklear and husband Sterling, Sabera Locklear, and Brinda Brewer and husband Kendrick all of Maxton, North Carolina. seven grandchildren: Corey Fields, Elijah Locklear, Kate Fields, Donavan Bowen, Rachel Locklear, Elexus Jones, and Kendrick Brewer Jr. three brothers, Ronald Jones of Lumberton, North Carolina, Melvin Jones, and Mitchell Jones both of Maxton, North Carolina. five sisters, Doris Locklear, Betty Lois Locklear, Annie Ruth Locklear, Judy Locklear, and Doreather Esquibel all of Maxton, North Carolina. one sister-in-law Janice Jones of Maxton, North Carolina and host of other relatives and friends. Funeral Services will be at 2:00 P.M. Saturday, January 26, 2019 at Hoke County Church of God in Red Springs, North Carolina. Visitation will be from 1:00 -2:00 p.m on Saturday at Hoke County Church of God. Interment will be at Clark Family Cemetery.